I've been hearing two phrases all over the place lately, and yet, I started the draft of this post weeks ago and I'm only getting around to working on it again now. Which is exactly why I need these two new mantras in my life. The first: "Done is better than perfect." 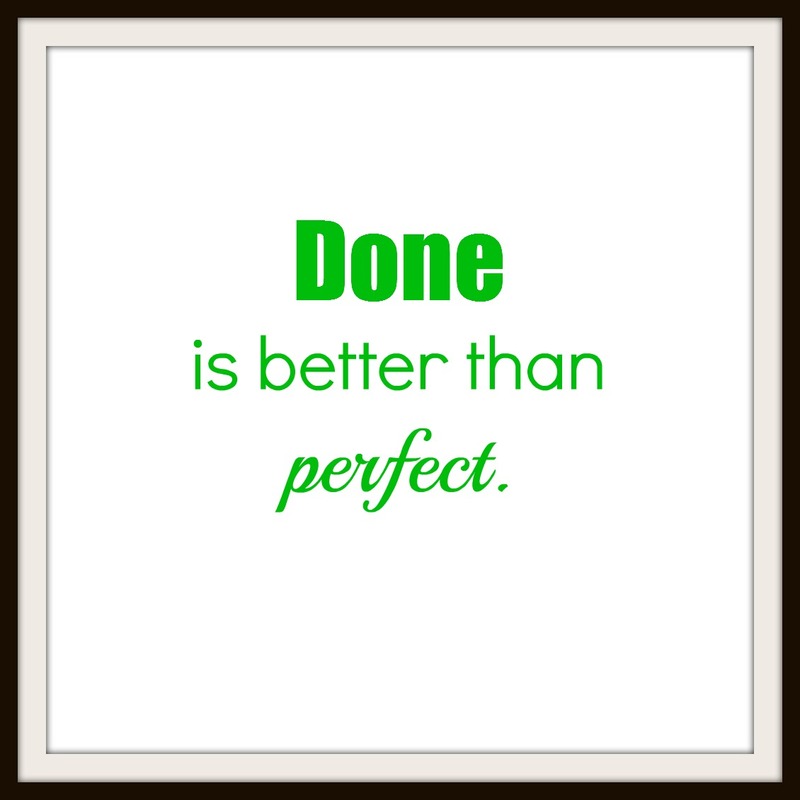 If you're like me, you might need to slow down and read that again, because I *really* want to read it as "perfect is better than done." Clearly, that makes no sense, but my perfectionist tendencies scream back at me "Yes! Perfect is by definition the thing to be!" But I know it can't be that way. Over the last few months, I've felt even busier and more pressed for time than usual. 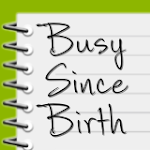 And with a blog called "Busy Since Birth" you already knew I was busy, but it's been worse. There have been so many days that passed by in a blur of motion, going from next to next to next, that at times I'm sure I've done things without even being aware of doing them. A huge part of me thrives on being that kind of superwoman - but I've also noticed that when I finally allow myself to be "done," I really am "done." Like put myself to bed at 8:30 on a Friday night done. So I'm struggling a bit with that. I want to do all of these things, be they time with Marc and the kids, work, work on myself, seeing friends, reading way too many articles on having it all. But I am trying to tell myself that I can only do all of these things if I don't maintain all of these standards and ideals. That it's okay if the laundry or the dishes wait a bit longer than usual. That it's okay if I don't read the boring article through to completion. That it's okay I yawn my way through Zumba. And that it's okay to go to bed at 8:30 on a Friday night if that's what my body is telling me to do. My friend Nanette recently told me that tasks take as long as the time you have set aside to do them, and I've been working to say to myself "I have 20 minutes to do X, and whatever is done is done." And it's been really helpful. Now the other thing I keep hearing is: "What would you do if you weren't afraid?" That's a big one, right? Answering it could mean nothing - you don't necessarily have to act on those thoughts and ideas. Just giving myself permission to think in terms like that seems bold. 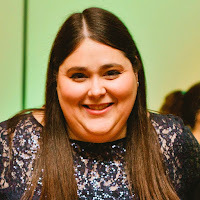 I have a lot of thoughts percolating behind that idea that I'm not quite ready to share yet...but I am thinking, and remembering that question as I move forward with life. These two new mantras tend to support each other. If I'm going to find the time to move forward with the big, scary things I'm thinking of, I'm going to have to find ways to let go a bit on some the other parts. So I'm writing this post as a bit of a reminder to myself as another jam-packed day comes to a close. 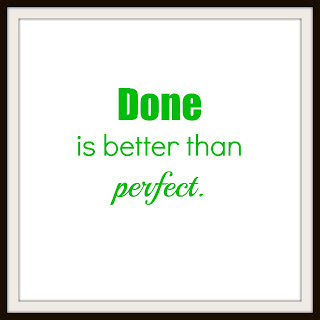 Done is better than perfect. What would you do if you weren't afraid?